Each week, many eye-catching and potentially transformational innovations emerge that could help businesses and nations accelerate the transition to a low-carbon, resource-efficient economy. And each week, edie rounds-up six of the best. In a week that has seen information on water scarcity pushed to the wider public as part of World Water Day, it is yet again important to realise that planetary boundaries are being pushed to the extreme. Whether its England’s severe case of water stress or the inevitability of a sharp rise in Arctic temperatures, it seems the onus is on nations and businesses to reverse climate change at an accelerated pace. Innovation will have a key role to play in this transition. Here, edie rounds up some of the low-carbon and resource-efficient innovations that could become vital tools in the global quest to combat climate change. Enjoy. Regular readers of edie will be well aware of the negative carbon impact of food waste, and that the scale of the world’s food waste mountain is only set to grow without ambitious actions from all areas of society. 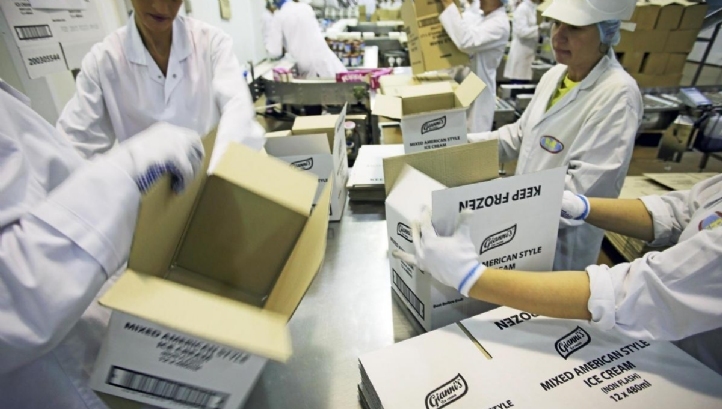 But this waste is also a missed business opportunity, with around $1trn believed to be lost to the global economy due to a linear economy for foodstuffs every year – equivalent to 1.5% of the world’s GDP. In order to recapture some of this value, Yorkshire-based ice cream manufacturer R&R (maker of Nestle's Fab and Rowntrees’ Fruit Pastille Lollies) has partnered with waste management giant Veolia and financier Iona Capital to convert waste by-product from its manufacturing processes into clean energy. The solution involves sending the by-product to an anaerobic digestion facility, where it is placed in an oxygen-free container to break down naturally. This chemical process involved in the container naturally produces biomethane, which will be sold to the National Grid and used to heat homes across the UK. The first of this biomethane will be sold this summer. R&R estimates that 25 tonnes of chocolate ice cream by-product processed in this way could heat one average home for a year. 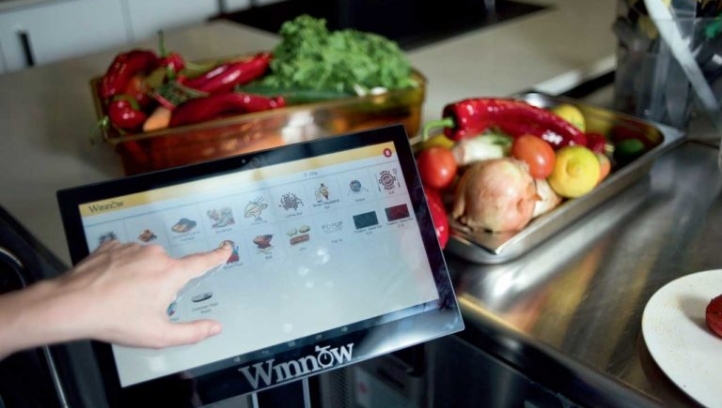 Also on the topic of food waste, London-based tech startup Winnow has this week revealed that a real-life trial of its digital bins for food waste across Ikea’s new Greenwich store has proven successful. Called Winnow Vision, the bin uses cameras, weighing scales, sensors and an artificial intelligence (AI) platform to measure not only the amount of food waste which is deposited, but which items are most commonly wasted. The device is pre-programmed to recognise most common foods, but also has a machine learning function which enables it to “remember” other items which may be specific to certain businesses. In Ikea, for example, it can recognise the difference between the retailer’s meat and vegetarian meatballs and hotdogs. Data collected through the bins is relayed to users via a digital platform, enabling firms across the food and drink, hospitality and leisure and retail sectors to track their food waste footprint in real-time. This enables buyers to better adjust the quantities and types of food they purchase, in order to minimise their food waste footprint, and can help sustainability professionals develop more targeted behaviour change schemes around food. Air quality has continued to hit the headlines in recent weeks, the UK's Clean Air Summit in London last month having been compounded by a string of air pollution warnings across key towns and cities. The good news is that a number of innovative solutions which seek to mitigate the health impacts of airborne pollutants have begun to hit global markets or become more widely available, including air-filtering curtains, “breathing” CityTrees and pollutant-trapping t-shirts. Building on this momentum, British engineering giant Dyson has developed a 1kg portable air quality sensor, which enables users can monitor their exposure to harmful particulates. 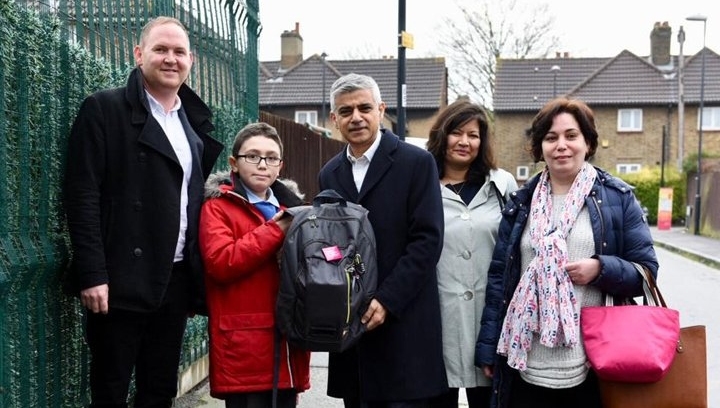 In order to test the sensors in a real-world environment, the firm has developed a range of backpacks with them built-in and distributed the bags to primary-aged schoolchildren in five schools across Greenwich, Hammersmith and Fulham, Haringey, Richmond and Southwark. Data from the backpacks will be collected and monitored by researchers at Kings College London and shared with City Hall, so the Mayor of London can develop campaigns and policies which can help minimise the amount of exposure which children in the capital have to particulate matter (PM2.5 and PM10) and nitrogen dioxide (NO2). The trial, which was jointly developed by City Hall and C40 Cities, will run for three months. It is being delivered by a consortium led by the Environmental Defense Fund Europe (EDFE) and is mostly funded by the Children’s Investment Fund Foundation. Sustainability professionals who like to enjoy a tipple have been in luck in 2019 so far, with recent sustainable beverage announcements having included a new closed-loop gin made from grape waste and a fresh sustainable coffee sourcing pledge from Kahlua. 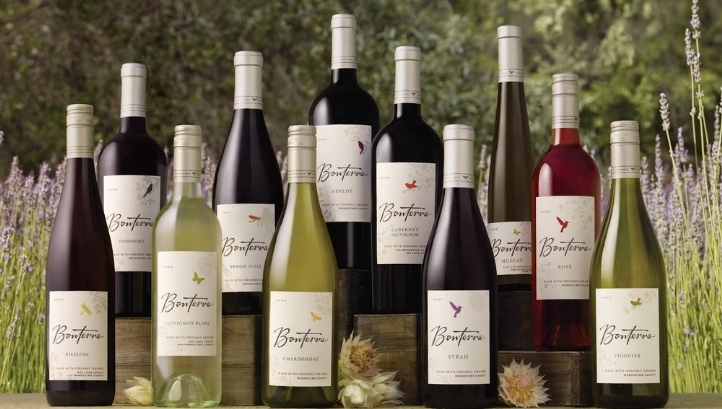 Continuing this trend, Californian vineyard group Bonterra Organic has revealed that it is developing a “climate-positive” farming and manufacturing process for wine. The method involves using pesticide-free and water-efficient agriculture practices which boost soil quality, therefore boosting the soil’s carbon sequestering properties to the point that it offsets emissions at other stages of wine production. Specifically, the regenerative model involves applying organic compost, planting cover crops and planning sheep grazing. At the same time, Bonterra runs a series of wildlife and biodiversity conservation programmes, keeping around half of the vineyard in a “natural state”. A similar model of regenerative farming has previously been used by the North Face, which now sells garments made from "climate-positive" wool. It’s been a big week for electric vehicle (EV) infrastructure news here at edie, with Jaguar Land Rover (JLR) unveiling a “smart” charging network at its Gaydon facility, Toyota confirming plans to host a hydrogen refuelling “hub” in Australia and pan-European charging network IONITY providing a progress update on its mission to electrify long-distance journeys across the continent. It is timely, then, that the edie newsdesk also received information this week regarding a new isolation transformer technology which claims to minimise the risk of open-circuit faults within charging systems, while helping grids cope with increased power demands due to EV charging. Is Developed by Staffordshire-based electrical solutions firm Matt:e and called the O-PEN, the device is able to detect load imbalances and level them by isolating the incoming supply either as a whole, or in separate loads. Each of the units is capable of supporting up to three 32amp EV charging points. 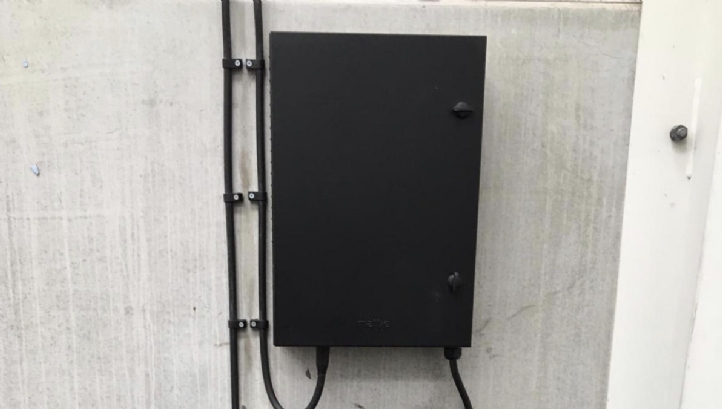 Matt:e claims that the technology could be used to support caravan hook-ups, mobile power generation and buildings used within the agriculture sector as more renewables come onto the grid. With today (22 March) being World Water Day, and with the chair of the UK’s Environment Agency having recently warned that England could run short of water in 25 years, water stewardship will undoubtedly be at the forefront of many edie readers’ minds this week. To compound the actions being taken by policymakers and businesses to tackle the challenges surrounding water stress, innovations in this space are also emerging at a pace. Previous editions of this roundup having featured technologies such as waterless toilets, desalination gel and water-efficient textile dyes. A more recent launch is that of the Oas shower, which claims to use up to 90% less water and 80% less energy than conventional models. Developed by Swedish startup Orbital Systems, the device deposits just under three litres of purified water during a ten-minute shower. “Smart” sensors within the shower, connected to the cloud, analyse the running water 20 times per second, enabling the dirty water to be pumped up for cleaning and reheating before being recirculated to the shower head. At the end of the shower cycle, the water is captured by the device for re-purification and reheating. Real-time information regarding how much energy and water the user has saved by using the product is relayed via a digital interface in the shower control, which is lit using LED technology. The shower recently launched commercially across the US and EU markets and is available to both business and domestic customers, following certification from NASA. Orbital Systems claims the technology is suitable for hospitality and leisure firms, property developers, individuals and companies which produce camping solutions.